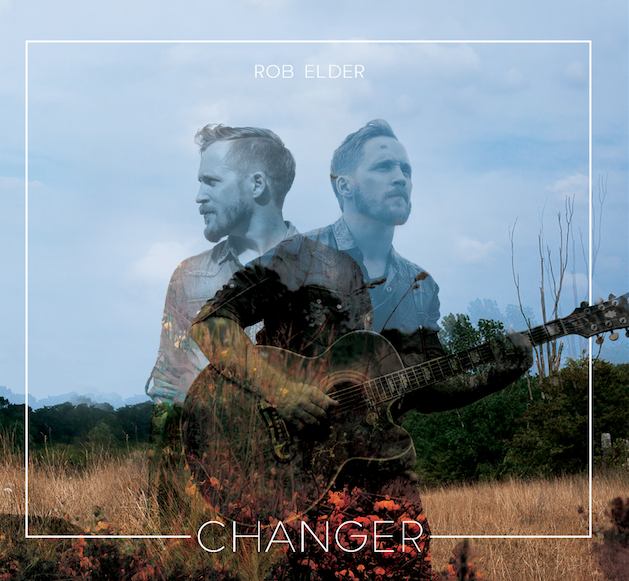 It’s fun, it’s bluesy, it’s got soul, and boundless vocals: a review of Rob Elder’s Changer | Rrampt. When I bought a ticket to see Rob Elder perform this past spring, I didn’t know what to expect. I just knew he was deeply involved in music in the area, that he had mentored the Youth Discovery artists at Summerfolk over the years and performed in local spots such as the Wismer House and Bruce Wine Bar. I didn’t know he started playing festivals at age 20, released two albums in his early twenties, and gigged hard in Toronto for years. I didn’t know how good his voice was. Man, was I blown away when he took the stage at Heartwood recently. It was clear he had rhythm and blues in his soul; it was dripping from each note in his wide vocal range. And he had a great stage presence full of fresh energy and rich experience. All these things come through on his new album, Changer, available Monday, September 24. 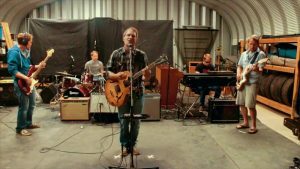 It’s fun, it’s bluesy, it’s got soul, it’s rooted in country and western, and it’s got boundless vocals. That’s a combination that’s hard to pull off but Elder does it with style. This is a combination of genres that Grey Bruce fosters well, and Elder is true ambassador of it. Take notice Ontario – this here area is home to a killer music scene that is just getting better. Elder is one of many talented artists producing strong albums in Grey/Bruce/Simcoe. You could argue that Elder’s early albums dealt in the ubiquitous themes of young love and heartache, while Changer is a more socially conscious lyrical shift. But I think he’s really found his sound here, as well as his lyrical deftness. His voice, combined with his bluesy guitar riffs, results in an album that you’ll find yourself playing in all sorts of situations. It’s great for your morning routine to start the day, or to play for friends on a Friday night. It’s a driving album, and a dinner album. It’s as versatile as his voice. He doesn’t knock you over the head with social issues but instead calls on the disenfranchised to raise their voice on songs like Come Out Come Out, which is the most openly political wrapped in a playful rhythm that could find its way onto a radio playlist. “I know if we try, we can bring it back from the edge/ I know there’s a a way we can learn from our mistakes” he croons in what might be a light-hearted groove, but one with a realistic aim: “I know from the start that love won’t win on its own.” Basically, he suggests we all get off our asses and get more vocal ourselves. We don’t have his voice, but we all have a voice to speak up against injustice. Similarly, No More comments on the current capitalistic realities around debt but tosses some seriously catchy grooves at us. Having just finally paid off my own massive student debt, I could relate to this one. 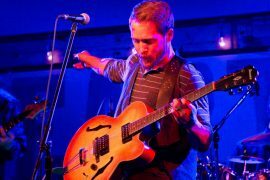 Guitar riffs fill the space behind the vocals to add a full sound, and make you forget about your money woes – that’s the point. There’s more to life than worrying about money. There’s music. And this is the type of music that you can escape into. He makes the right choice to begin the record with Dig Down Deep, an easy listening tune that let’s his voice come to the forefront. By the time he sings, “Dig down deep like I know you can/and take this life into your hands” you’ve melted in the buttery vocals and settled in for a listening experience. It was produced, mixed, and mastered by the talented Craig Smith of Mad River Recording, who seems to be behind many of the great albums coming out of Grey/Bruce/Simcoe these days. Mike Weir provides the sticks on this album and Josi Elder, Rob’s wife, offers backup vocals. Aptly, she serves up some beautiful harmonies on I Like the Way It Is, a sweet song that straddles the country line with a bluesy tone. It feels like Elder at his most comfortable, while the bass-driven Here For You is one with more attitude. It showcases his vocal range, demonstrating his ability to reach those falsetto highs. “There’s always something tugging at the side of your brain” he begins, and launches into a reminder that we need to take comfort in the outstretched hand of friend during dark times. Instead of slowing things down for the last song as most artists are prone to do, Elder speeds things up and lays down a fast and funky New Orleans-style Lies, where he riffs on the homophone. He claims he’s just “lying to you” but that he’s tired and “lying in this bed that I made.” It’s a fitting close to an album that has clearly taken a lot of time and energy to complete. He must be tired, and he should be. It’s a lot of work to create something this good. But he’s not ready to take a break anytime soon. He’s kicking off a tour for Changer starting tonight at the Bijou Theatre in Chelsey and then onto Toronto, Guelph, Kitchener and London where he’ll inject a little of Grey Bruce’s sound into Southwestern Ontario. 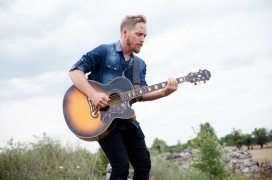 He’ll return from the road to Owen Sound where he’ll play Heartwood Hall on November 9. Full tour schedule is available here.